Give us more water ... we do pay for it right ??? short-term solution: save a bucketful or so in advance. "Run around in the toilet … trying to get wet …"
Bro you should try installing the thing which MWSC provides to increase pressure on the high rising buildings. They do have a solution for your problem if the building owner is willing to pay them some money to install the stupid thing. so you have this memorized for each fitting situation in life ... eh? 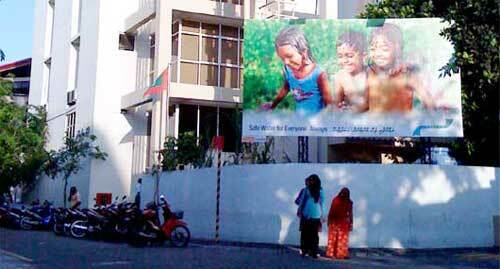 may be coz villingili has only a few highrise buldings ... dont you think so ... ??? ?